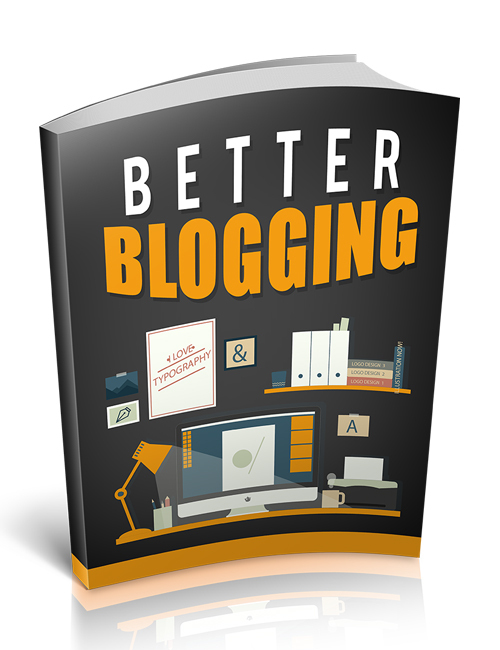 If you’re a first time blogger or you can’t seem to figure out the hype about blogging or are looking to take your blogging efforts to the next level, Better Blogging is the optimal download for you. You probably don’t even realize just how powerful blogging truly is. There are bloggers and marketers out there who are putting away 6 figures monthly purely from blogging. Many have built monstrous audiences through their blogging efforts and are selling their own courses and products through their blogs and doing remarkably well. But obviously nothing was achieved by these bloggers in a day. It took work and effort to reach that point. And for many of them, mistakes were made early as they didn’t understand many of the technical things prior to blogging. You won’t be making those same mistakes because you’re going to be aware early of how to go about everything the right way when it comes to building your blog. You’ll discover how to set up your blog, which platform to use, the best plugins and software to implement and much more. Why learn as you go and make mistakes when you can hit the ground running without making those mistakes that other bloggers made? Time is money and your goal is to build your blog and be successful. Better Blogging is all about being the world’s best blogger and when you’re ready to rock, hit the download button.